–“State of the State” Breakfast with Governor Chris Sununu (7:30 – 9:00). –Taco Tuesday at Dos Amigos Burritos (11:00 – 8:00). –Tapas Tuesday at 50 Local (5:00 – 9:00). –Board Game Night at Diversions Puzzles & Games (5:00 – 9:00). –Restorative Yoga at Soleil’s Salt Cave (5:30). –Family Wine Dinner at Old Vines Wine Bar (6:00 – 9:00). -Happy First Day of Spring!! –Fair Tide’s Spring Dinner at the Blue Mermaid (5:30). -“Plants and Flowers of Maine” at Old York Historical Society (6:00 – 8:00). –Babysitter Training at Portsmouth Public Library (6:30). –Adult Knitting Group at Dover Public Library (10:00 – 12:00). –Public Displays of Motion at the Pontine Theatre (3:00). –Tasting Dinner at The Boathouse (6:00 – 9:00). –Beat Night at Book & Bar (7:00). –Movie Night at Mainestreet (7:00). –Creative Mornings at The Music Hall Loft (8:30 am). –Beautycounter Launch at Denimrack (4:00 – 8:00). –The Wedding Singer begins at the Seacoast Repertory Theatre! –“Run Before you Crawl” 5K in Dover (9:30 – 3:00). –Throwback BUTI & Brews at Liar’s Bench (11:00 – 12:00). –Intro to Modern Calligraphy Class in Dover (11:00 – 1:00). –Teen Yoga at 3 Bridges Yoga (1:00). –Live Music at Tributary Brewing Company (4:00 – 6:00). -“Shape Your Luck” event at LA Beatz Dance Studio (6:00 – 8:00). –Live Music at Flight Coffee Shop (6:30 – 9:00). –Dueling Pianos at The Strand (7:00). –Pumpkin Bread Band at The Dance Hall (7:30). –Make & Take Smudge Stick Class at Zen Den Yoga (10:00 – 12:00). –Salutations & Suds at Loaded Question Brewery (11:00). –Sunday Brunch at BRGR BAR (11:00 – 2:00). 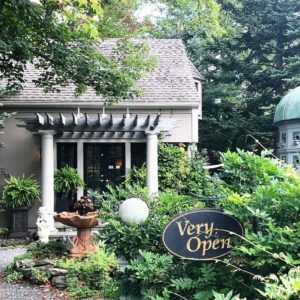 –Fundraiser Sunday at Cornerstone Ogunquit (12:00 – 8:00). –Backyard Composting Class at Churchill’s Gardens (1:00). –Seth Gooby at Tributary Brewing Company (3:00 – 5:00). –Bitter Cocktail Class at 50 Local (5:00). –J.S. Ondara at 3S Artspace (7:00).